Description: Vacation In Paradise is a hidden object game. I can see that you are a great person, but the local people here are a bit septic. They see you and your friends with suspicion. You must help them manage some things around the island so you can earn their trust and confidence.. 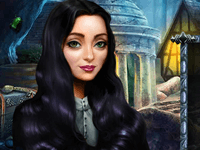 Vacation in Paradise is a Hidden Object Games.